Imperial Commercials, DAF Trucks’ largest dealer group in the UK and Europe, has bolstered its regional sales function with two key appointments. 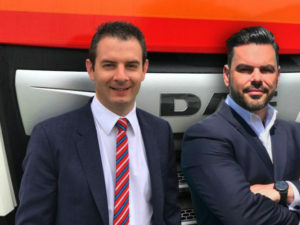 Daniel Fitzjohn and Vincente Connolly both take regional director roles to develop the DAF Trucks marque in their respective Western and Birmingham regions. Both individuals bring significant experience at senior level with the Mercedes-Benz brand and will report to newly appointed managing director Matt Lawrenson.